1xBit Review - Is it Legit or Scam? 1xBit Review – Is it Legit or Scam? This 1xBit review is a part of a casino series we’re doing over here, we’ve already spent time on the best casinos in the industry and came up with a massive, detailed guide on the same, so yeah hope this one gets you transparency on 1xBit casino as well. Considering how Bitcoin casinos are replacing, or in the process of replacing, even though slowly and very feebly the traditional brick and mortar casinos, it’s only logical to assume that by the next decade or so everyone would be gambling with Bitcoin from their living rooms. So as is my tradition, let me explain to you how I judge a casino’s worth or potential, so that you know this 1xBit review is as practical, honest and fact-based as possible, without the least bit of bias, or incentives. So the very first aspect I take into consideration is a Casino’s trust-level, the factors I use to establish the same are its Provability (fairness and randomness), licensing, registration, country of operation, online reviews, and my own experiences. Then, I consider the Casino’s Bonuses; the more bonuses the users are being awarded the better I believe the casino to be. 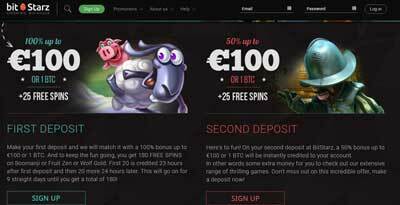 Then, there’s the ease of registration process, the overall user-experience, and currency-support, the more currencies a Bitcoin casino supports, the better it generally is for the users, followed by the deposit and withdrawal limits, finally followed by the support staff of the casino. 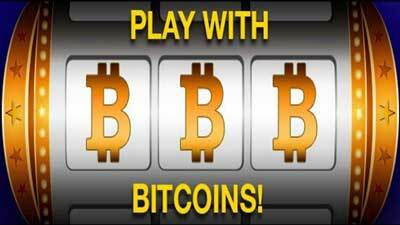 So in a nutshell, no stone is left unturned which a Bitcoin casino may consist of, if you feel some major aspect is missing, do let us know via our Facebook page, and till then let’s get on with this 1xBit review. Sign up: Exclusive 1-click registration. 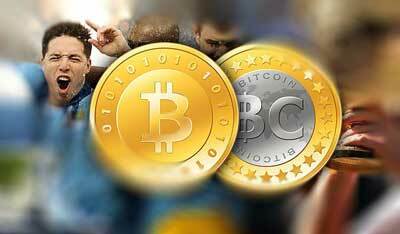 Welcome Bonus: 100% (upto 1BTC). Currencies: BTC, NEM, BTCGold, BTCH, Funcoin, DogeCoin, Ethereum, Monero, Litecoin, ZCash, Ethereum Classic, BitShares, xGox etc. Support: Live Chat / Emails. The user experience is the first thing I’d like to bring in on this 1xbit casino review, as if the user experience of a casino isn’t good enough, no matter how many features the casino offers, it still won’t be a good choice, don’t you agree? So, the very first thing you’d notice with 1xbit is that it’s a completely German website, although yes you can translate it to English using the inbuilt translators with Chrome or Mozilla. Apart from language, the website as a whole is kind of cluttered, at least when compared to other casinos out there such as Betchain or FortuneJack, the text-size too is kind of smaller and needs improvement. 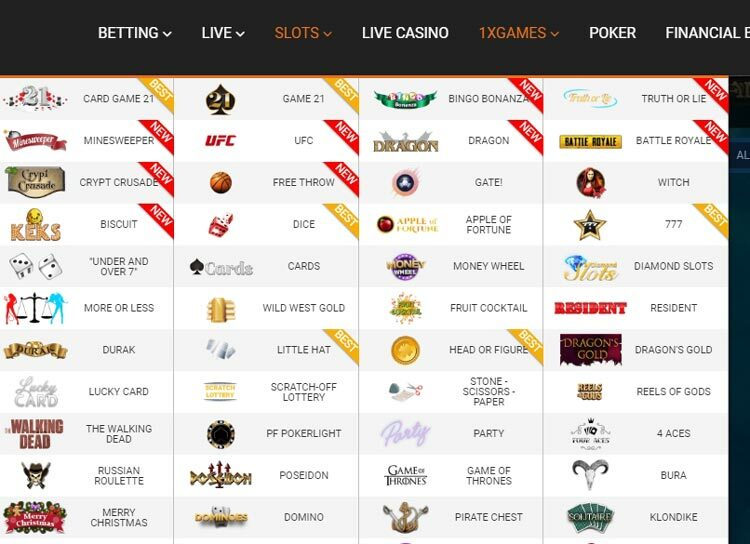 As for tabs, options and buttons, they too aren’t clear and if it’s your first day at any Bitcoin casino you may have problems landing at the games or exact sections you want. Most of the casino options lead to things you probably won’t be using. So in a nutshell, the user interface isn’t something the team would technically be very proud of. 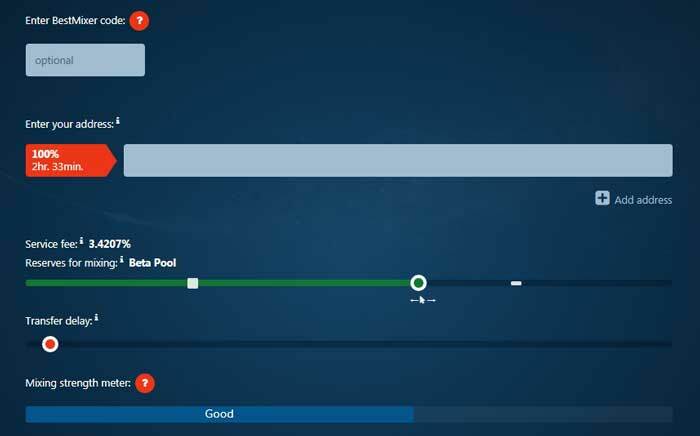 Provably fair is the feature by which a casino lets you verify its fairness and randomness, it basically shows you its algorithm, by which the winners and losers of a game are decided. This transparency guarantees that the result of the games is really random and unpredictable and that the casino hasn’t rigged the algorithm to always make the house (the casino) win. So, 1xBit is basically a Partially Provably fair casino, meaning it wasn’t Provably fair earlier, and only recently they added 3 games whose fairness can be verified by anyone and everyone, so while most games on the casinos aren’t Provably fair, these 3 games are. Note that just because a Casino isn’t provably fair, or because only some games on it are, doesn’t mean that it’s unfair, or a cheat. It just means that the site hasn’t found a way, or doesn’t wish to show us the algorithm by which it decides its results, but most of the time all the popular casinos are fair and random enough. Apart from the Provability, there are some other factors which come into play, for e.g. the company’s license and registration. Most of the companies I generally vouch for, do provide their license as well as registration numbers on the site somewhere. Along with their office address, while in the case of 1xBit, neither was available, which is a big trust-killer for me personally, but then again I heard so much of this Casino in the forums, Reddit, Quora and other places that it’s not necessarily a Scam website. But even then, it doesn’t have a lot of trust-signals so I’d not wager too much of my money here. 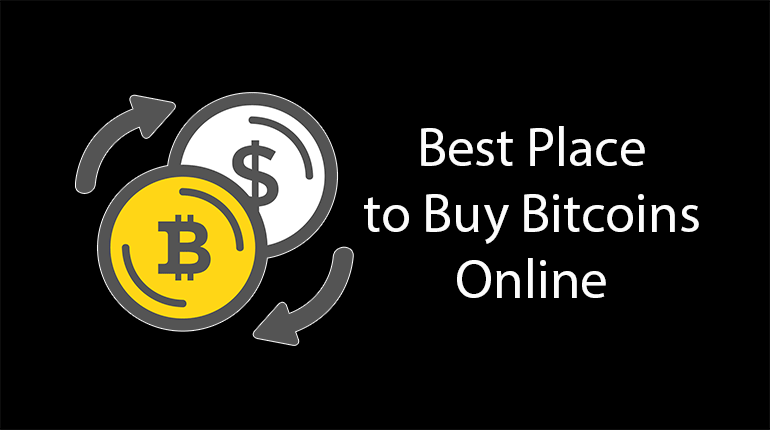 Bonuses are a major deciding factor of this 1xBit review, because it’s basically free money, these Bitcoin lottery sites provide promotional bonuses which add to your funds in one way or another. For e.g. there’s a 100% first deposit bonus, meaning whatever you deposit for your first time, will literally be doubled or increased by 100%. Then there’s a 30% Cashback every day but it probably is game-specific so it’s not for every game. But that’s about it. I didn’t find any weekly or loyalty bonuses which generally are available with most other Casinos, so yes 1xBit isn’t really big on bonuses. Note that there also always are limitations along with terms and conditions associated with the bonuses, so it’s wise to check out the terms manually. One of the best parts of this 1xBit review is that 1xBit is probably the only Bitcoin betting site which has not just one, but two registration processes. Meaning, you can register either via the traditional E-mail + password combo or there even is a one-click registration. This one-click registration greatly reduces the time required to register on the platform, literally a single click is all that ’s required to signup, simply enter your E-mail ID, and click on the register button. Done. It automatically assigns you a password which is instantly shown to you and you can log in right away. So I must just say here that this is the easiest registration process I’ve ever seen with any online casino Bitcoin ever. Although yes, as I said earlier you can also use the traditional method of manually choosing an E-mail along with a password as well in case you’re not in a hurry. One of the most important aspects of any Casino are the games available on the platform, aren’t they? Although yes, getting to the games may be slightly complicated as they’re not that well-organized. For e.g. 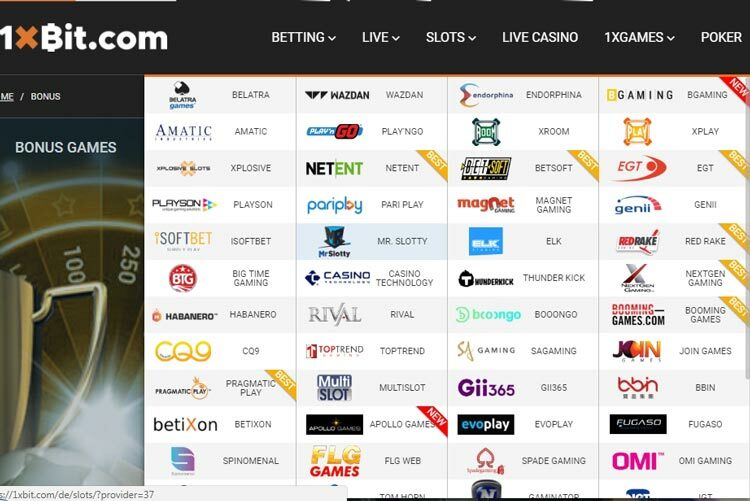 there are specific buttons for Slots and Live Casino on the top bar, while most of the other games can be found under 1xBit games section. Also, in order to reach to any specific game, first you have to choose from one of the game providers under slots, and then choose from the sub-categories and check if that specific provider has embedded games for your chosen category. So 1xBit does have a variety of games, but the user-experience isn’t as smooth or straight-forward as it should be, and most of the times you’ll find that the above categories show a Nothing found here message, this happens when the provider you’ve selected, may not have games in the categories you’re searching for. But I did the research for you and found that each of the game providers has at least 10-50 games to their credit, and considering how there are around 40 providers 1xBit easily has at least 400 games roughly. Clicking on any of the above games directly takes you to the games page, so while reaching provider-specific games is hard, getting to individual games is equally easy so I’ll leave the final judgment about its games to you. But as far as the number of types of games available is concerned, I’d say we don’t have a lot of reasons to complain about. 1xBit seems like an exclusively crypto-only platform, it supports as many as 18 different Cryptocurrencies and no fiats. Which actually is a good thing if you’re someone who respects his/her privacy and anonymity, as fiat is highly traceable while crypto on the contrary isn’t. 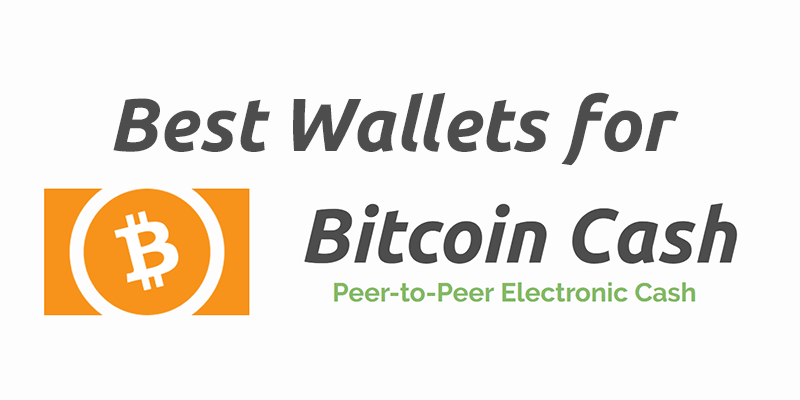 BTC, DogeCoin, Ethereum, Monero, Litecoin, ZCash, NEM, BTCGold, BTCH, Funcoin, Ethereum Classic, BitShares, xGox etc. The minimum deposit limit for every kind of currency is 0.01mBT, while the minimum withdrawal limit for every currency again is 10 mBT. 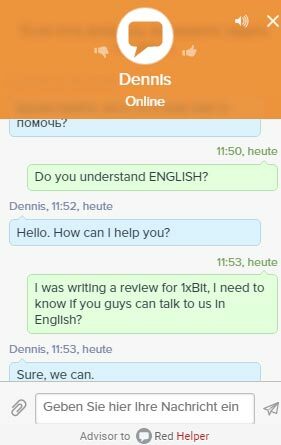 Now this is one of the sections of this 1xBit casino review that I’m happy writing about, the site is in German, so I didn’t expect the support to be that great for English-speaking people, to try it out I initiated a live chat with the team. Even though initially I was responded to in German, once they realized I was an English-speaker, they auto-transferred my chat to one of their English representatives in around 1minute. I shared the whole experience on our detailed Bitcoin casino review; which I was talking about in the very first paragraph of this 1xBit review. Even to my test-Email, they replied in English, and in less than 24 hours. So in a nutshell, yes their support is impressive and better than I initially expected it to be. So that’s a wrap as far as this 1xBit review goes folks, when it comes to Bitcoin gambling, is 1xBit the best Bitcoin gambling site? In my personal experience and opinion, no, it’s far from it to be honest. But is it one of the many available and trustworthy options? Yes, totally. Let me sum this complete 1xBit review up for you, it offers great games despite its somewhat not so great user experience, it still can be trusted despite its lack of provability or licensing details cause it’s been here for nearly 11 years! 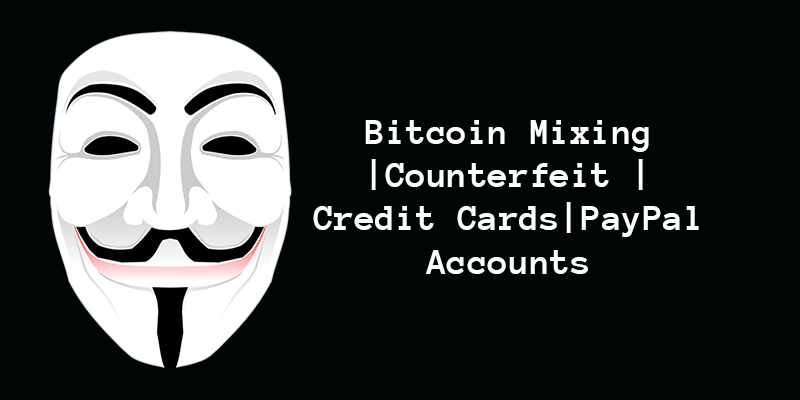 It doesn’t support fiats and only cryptos but that’s a good thing, registration on it is really simple and easy as well as anonymous, and finally, the support will totally win you over despite them being a primarily German platform. 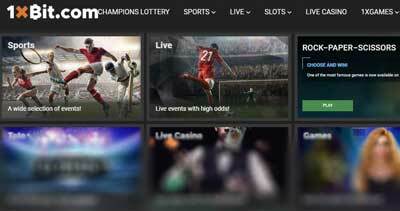 So, when you read the above paragraph, I’m pretty sure you’ll get a better picture of them, an honest, transparent picture which will show you that despite some of their shortcomings and problems, they’re really trying their best to be one of the best Bitcoin gambling site that the industry has ever seen. Anyway, let us know your viewpoint on this 1xBit review, as well as on the platform individually on our Facebook page.